Squeaky Dryer got you down? Call OUR APPLIANCE REPAIR SERVICE! Dryer Repair Service is one of our most popular appliance repair services throughout the Danbury, Connecticut area. Nothing is worse than a dryer that squeaks so loud that you need to go upstairs to watch TV, and can still hear it. The squeakiness doesn't get better over time either. The noise only get worse. Reason #1: Your dryer is off balance. 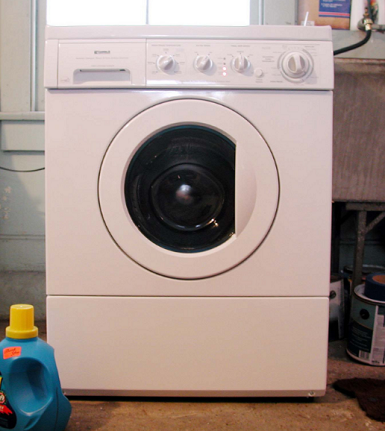 A squeaky dryer that's off balance doesn't necessarily mean you need a brand new dryer. Simply try to lean your weight on one side of the dryer to see if there is any instability. If you found that your old dryer is off balance then fix this problem by shoving cardboard underneath the short leg. Repeat this process until the dryer is balanced. Give it a week to see if the dryer begins to squeak less. Dryers take a lot of pounding. Often simple repairs are done by looking inside to make sure there isn't something caught. We've seen piles of matted down clothes caught in the top corners of dryers that over time simply wear down the rotation. Be sure to check to see if your dryer has it's lint taken out of it. A jammed up filter can easily cause your dryer to make a ton of noise. Based on our Appliance Repair knowledge we'd suggest getting a long stick with a lint catcher on the end to dig down the filter slot. ​The last thing you probably feel like doing besides emptying the car litter is maintaining your appliances. Proper appliance maintenance guidelines can be found on our Home Appliance Repair FAQ.